As many a Cape Town local will tell you, there are few cities that compare to all the Mother City has to offer, especially the pristine and innate natural beauty of this peninsula at the southern tip of Africa. Some locals even go so far as to say that upon exploring another city, they’re mostly always slightly disappointed: Nothing quite compares to their beloved Cape Town. It is a traveler’s dream: From extreme sports such as bungee jumping, shark cage diving, skydiving and microlighting, to soaring above the skies in a helicopter, zip fly or cableway and everything in between, there is something for old, young, daring and sedate. Almost everything you could want to do, including venturing on safari, is a mere two hours away at most. 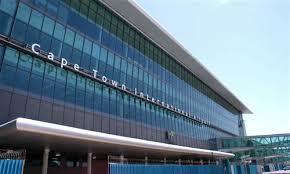 If you want to take in all this terrific city has to offer, make sure to book your airport shuttle in Cape Town the moment you touch down at the airport, or before. 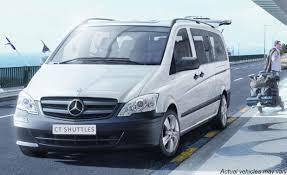 The are many privately owned services that will provide you with an airport shuttle in Cape Town that will not only be your shuttle from Cape Town airport, but all around the city too. The kinds of airport shuttle in Cape Town vary from pay-per-kilometre style cab services, to flat-fee, multi-destination services. You could even book a single or group tour via your airport shuttle in Cape Town, as some service providers specialise in local group tour bookings. Other alternatives involve hopping on the Red Bus open-deck city tour bus. There are various fee structures available for half-day and full-day tours, and you can conveniently collect your ticket at the airport. This bus will take you around the peninsula, the city, including the castle, the Table Mountain cable way, the Atlantic seaboard and the Constantia wine route. It is aptly named the hop-on, hop-off bus as there are numerous safe and publicly located convenient collection and drop off points, including the waterfront. If you’re in the city for a short stay only, a good idea is to book your shuttle from Cape Town airport to one of the collection points right away from the Cape Town Tourism desk at the airport. Here, they’ll be able to advise you of the closest collection point on any given day and time. Routes sometimes vary according to not only demand, but also on account of the weather, due to the top deck being open to allow tourists to maximally absorb panoramic views of the city’s magnificent shoreline and cityscapes. The normal price is R480 per ticket, with discounts for younger children. The bus guides are fluent in fifteen languages. Another superb way to not just see the city – but experience it – is by purchasing a City Pass, giving you access to 70 big-deal attractions, including single entry helicopter and cableway rides. A three-day unlimited premium pass for adults is R2 695 (U$D 205), three-day unlimited pass for adults is R1 195 (U$D 90), and a three-day adult flexi pass is R765 (U$D 59). Included in the pass is your three-day Red Bus ticket, cage diving, the cableway, day tours, cruises, safari tours, township tours, botanical gardens, wine estate tours and more, as well as discounts and specials to other attractions not included. Only single admissions to attractions in your pass are allowed so repeat visits are not possible. But with so much to see and do, you’ll want to move swiftly along to the next adventure anyway! Transport to and from these attractions is not included, so plan your stops carefully and allow enough travel time in between. Again, booking a shuttle from Cape Town airport directly to your destination and then on to your first attraction, is a sensible way to sightsee. Many providers of an airport shuttle in Cape Town are also more than willing to arrange a bespoke package for you, meaning that you could discuss a day’s line-up of transportation needs and arrange for a flat fee to be paid, and share among a group of friends. Equally, there is no shortage of service providers for an airport shuttle in Cape Town that you cannot book online uber-style no matter where you are, arriving on average within ten to fifteen minutes to take you to the next stop. The Stellenbosch wine route is a must-do, even if you’re not a wine connoisseur. The majority of bespoke tours will take you around the peninsula and Atlantic seaboard where most of the activities are located, so it’s best to book an airport shuttle in Cape Town or other taxi service to ferry you along the route, if you haven’t hired a private vehicle. Public transport along this route by rail isn’t recommended; you’ll pass many highlights along a meandering and gloriously green route. You wouldn’t go far wrong by asking your airport shuttle in Cape Town to have you pop in at just the first few pit stops along this route if you’re short for time. Try Polkadraai farm first, especially in the spring summer strawberry picking season. Next, move on to to Skilpadvlei farm, a slightly underrated but charming wine farm serving impeccable food. Then, move on to the most well-known wine farm, Spier Wine Estate, for a food and wine pairing tour. This estate has picnic-style farm stall dining, fine dining at the hotel restaurant, and fine casual at the other restaurants on the farm. They each have their own charm. If you’re planning your own wine route, make sure to taste some local varietals, especially the famed red wine Pinotage varietal. Heading to Hermanus is always a charm for its whale-watching opportunities, quaint local seaside feel and often overlooked picturesque vineyards. 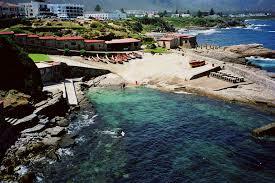 You’ll have to cross a pass, so be sure to book a shuttle service to Hermanus from Cape Town airport. 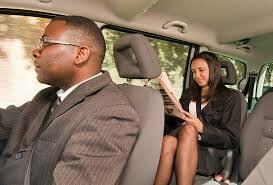 A leisurely drive will take about ninety minutes from the airport, or two hours from the heart of Cape Town. It’s best to book your shuttle service to Hermanus from Cape Town airport before the time, so you can keep your itinerary tight and enjoy the view and many intriguing stops along the way at your pace. A rushed spur-of-the-moment cab ride is just fine too, but to maximally enjoy the magnificence of the eastern seaboard, you probably want a driver that’s as invested in enjoying the sea view as you are!